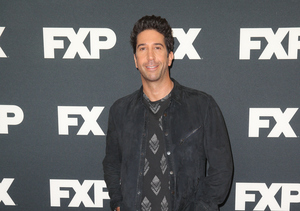 Actor David Schwimmer and wife Zoe Buckman have taking a break after nearly seven years of marriage. The two, who have been together for over 10 years, tied the knot in June 2010. They have one daughter together, Cleo, who was born in 2011. David and Zoe made their last public appearance together at the opening night of "The Front Page" at NYC's Broadhurst Theatre in October.